A research team from the University of Greifswald and Helmholtz-Zentrum-Berlin (HZB) has solved the molecular structure of the important enzyme MHETase at BESSY II. 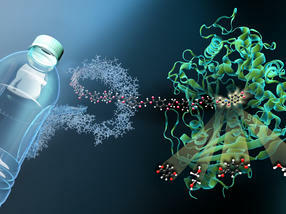 MHETase was discovered in bacteria and together with a second enzyme - PETase - is able to break down the widely used plastic PET into its basic building blocks. 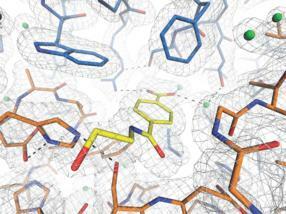 This 3D structure already allowed the researchers to produce a MHETase variant with optimized activity in order to use it, together with PETase, for a sustainable recycling of PET.